Delhaize v. Lay has been a closely followed case on the North Carolina “forced combination” question. Interest waned a bit when the North Carolina Court of Appeals decided against Wal-Mart on the same issue in Wal-Mart v. Hinton, 197 NC App, 30, 676 S.E.2d 634 (NC App. 2009). In Wal-Mart, the court found that the Department of Revenue could force combined reporting to reflect the “true earnings” of the enterprise regardless of whether or not it made a finding of “non-arm’s length pricing” between the company’s related entities. 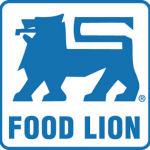 The big box retailer petitioned the North Carolina Supreme Court for review but was denied a hearing.Now comes Delhaize, the parent company of the grocery chain, Food Lion, who had the unfortunate luck to have to follow in Wal-Mart’s wake. It all started in 1998, when Delhaize, with the assistance of Coopers & Lybrand (now PwC), entered into a state tax planning strategy designed to exploit states that employ the separate reporting method of calculating state income tax. The strategy involved isolating trademarks, trade names, and other assets in a new legal entity in a single state. The new entity would then charge the parent entity royalties and fees for the intellectual property and services housed in the new entity, usually at a pre-determined arm’s length rate. The parent entity would deduct these business expenses even though the fees collected by the new entity later would be returned to the parent company as inter-company dividends. On a consolidated tax return the fee expense and the inter-company dividend would be eliminated against one another having no real effect on reportable income. However, in a separate reporting state only the expense items hit the tax return. The result was a reduction in taxable income in the separate reporting state for the expense of payments that never left the corporate family. Most separate reporting states had statutory provisions in place to prevent this kind of manipulation by forcing the two related entities to file a combined tax return thus bringing the dividend income back into the picture and triggering the tax neutral inter-company elimination. The arm’s length standard was often employed to justify a forced combination. If the inter-company transactions were not arm’s length, and supported by credible documentation to that effect, then the state could force the combination of the returns. This is exactly what happened under audit for Delhaize. Delhaize maintained that the transactions were arm’s length and therefore the state could not force the combination. As we mentioned before, it was Wal-Mart who tripped up Delhaize. Wal-Mart made the arm’s length argument and lost at both the North Carolina Business Court and the Court of Appeals. When the North Carolina Supreme Court denied review of their case, the cards had been dealt. Delhaize also lost at the North Carolina Business Court on the substantive tax issues. However, they were vindicated on penalties. The Business Court found that the penalties were an unfair violation of 14th Amendment due process, a violation of the power of taxation under the North Carolina constitution, and that the state had abused its discretion in applying the penalty. Feeling their oats after the Business Court’s strong language dismissing the penalties, Delhaize decided to try a similar approach to reverse the substantive tax issue at the Court of Appeals. Delhaize argued on appeal that North Carolina had violated their 5th Amendment Due Process rights when it changed the “guidelines” for applying its forced combination authority and adopted a “new approach” without properly notifying taxpayers. The Court of Appeals roundly rejected the argument. The other three arguments put forth by Delhaize were all rejected as governed by the binding authority of the Wal-Mart decision. By putting the substantive tax arguments into play with the appeal, Delhaize also gave the state an opportunity to challenge the Business Court’s determination on the penalties. The state did exactly that and the Court of Appeals agreed with them. It rejected the lower court’s decision on the penalties and reversed the order to refund $1.8 million in penalties to Delhaize.